Here it comes! 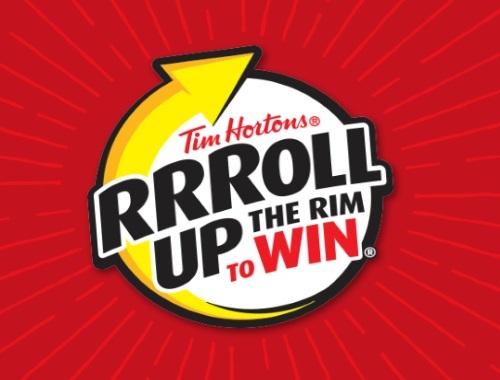 Tim Hortons RRRoll Up The Rim To Win is coming soon! Over 36 million prizes were given away in 2017, almost 1 for every Canadian! Roll Up is celebrating in 3500 Canadian Tims location. Winning coffee tabs can be redeemed for any hot beverage, including a latte, tea or hot chocolate. Each cup has an equal 1 in 6 chance to win coffee and food prizes.